The payouts for Pass Line bets are 1:1. The Pass Line bet is one of the most commonly placed bets when playing craps and it is a safe bet to make. 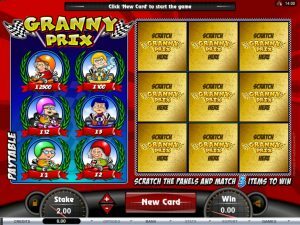 This bet will offer even money payouts, which is why it is considered to be one of the best Craps bets offered and why it is preferred by beginner players. What is Pass Line Bet? The Pass Line bet is the simplest bet to place when playing Craps and with this bet, players will be betting with the dice. This means that they will be betting that a 7 or an 11 will be rolled as the come out roll. If this does happen, the amount of the bet will be doubled immediately. In the event that a 4, 5, 6, 8, 9 or 10 is rolled, a point will be established. When the point is set, players will be hoping for that same number to be rolled again before a 7 appears. If this happens, the money is doubled again. If the initial roll is 2, 3 or 12, the bet is lost. 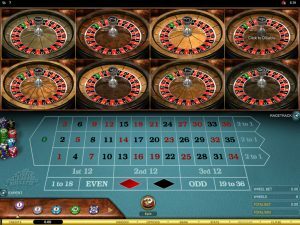 The payouts that are offered when playing Craps are all based on probability and the chances of a certain number being rolled. The true odds for Pass Line bets are 251:244, but the payout odds are 1:1. With this bet, there is a house edge of 1.41%. The Pass Line bet is placed prior to any come out roll when the game begins. 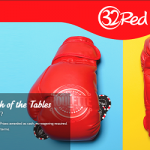 This is the most popular bet placed at the table and it is perfect bet for beginners. With a house edge of just 1.41%, the player advantage is quite good, which is why this bet is preferred. While this bet will only earn even money, it is a great bet to use when preserving the bankroll or when players only have a small bankroll when starting. Since the Pass Line bet is only placed on the come out roll, it can quickly provide players with winnings that can later be bet on other areas of the table. Pass Line bets can win often and are very popular bets. Here are two examples of when and how to use Pass Line betting. Example 1: Beginners who bet on the Pass Line and a 7 or 11 is rolled. They will immediately win, which is why this is preferred starting bet. Example 2: Pass Line bets can continue to win after a point has been established. An example is when a player rolls a 5 and that becomes the point. With the Pass Line bet still in effect, if another 5 is rolled, the bet will win. All other numbers aside from a 7 are irrelevant. Any beginner who is just starting will quickly become familiar with Pass Line bet since it is the fundamental bet at the table and almost every player will place this bet. If one is to only understand the most basic rules of the game, they should know about Pass Line betting. This bet is placed on the come out roll and will win if a 7 or 11 is roller. It will lose with a 2, 3 or 12. With any other roll, a point is established and if the next roll is the same number, the Pass Line bet will win. However, if a seven is rolled, the bet loses. Every player who is interested in craps should have a firm understanding of this basic bet and begin every game by betting on the Pass Line. Are Pass Line Bets Required? No, players do not have to place this bet. There are other options like Don’t Pass, Come and Don’t Come bets. Can I Win More with a Pass Line Bet? 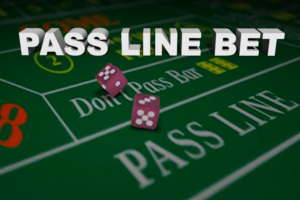 Most bets on the Pass Line will offer even money, but if players place odds bets, the amount that is won can be increased and dong this will also reduce the house edge. When Can I Place an Odds Bet? Odds bets are placed after a point has been established. The bet will be placed below the Pass Line bet and is tied to the initial bet. This means if the Pass Line bet is won, the Odds bet is also won, but they also both lose. What are Pass Line Odds Bet Options? 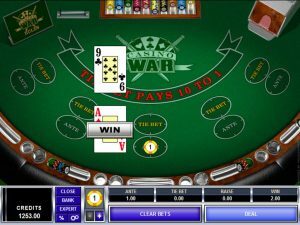 Many online casinos will offer the chance to place a 1x or 2x odds bet. The 1x bet is the same amount as the Pass Line bet. If players start with a $5 Pass Line bet and a point is established, the 1x odds bet will require another $5. With 2x odds, the bet is doubled. So the $5 becomes $10, having players betting a total of $15 on the table. Some casinos will offer higher odds and the higher the odds, the smaller the house edge.